The last command Jesus gave the church before he ascended to heaven was the Great Commission, the call for Christians to 'make disciples of all the nations. 'But Christians have responded by making 'Christians,' not 'disciples.' 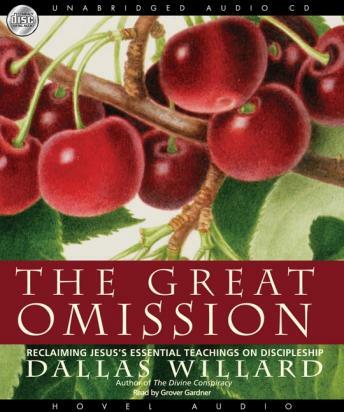 This, according to brilliant scholar and renowned Christian thinker Dallas Willard, has been the church's Great Omission.